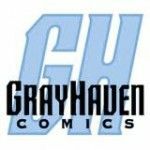 Indie-friendly publisher, GrayHaven Comics, boasts a stable of anthology books that features a number of emerging talents in the industry. One of those talents is writer Glenn Matchett, who initially became associated with GrayHaven through the anthology route and has since segued into creating books of his own. 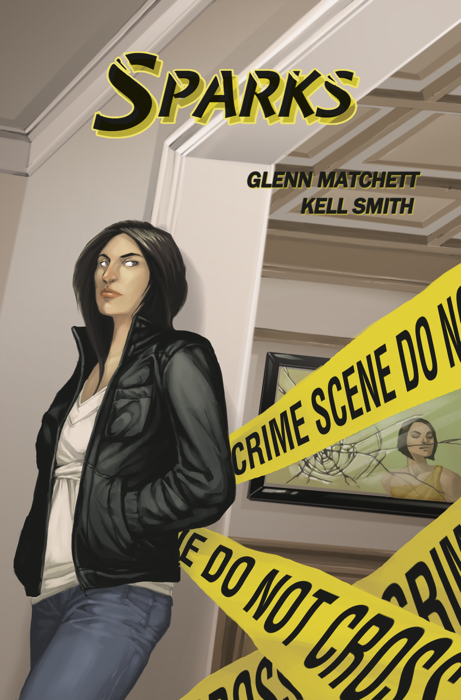 Newest of these is Sparks, a far-from-typical murder mystery that stars a strong female lead, with artwork and lettering by Kell Smith. The one-shot sets up they mystery with flare, as the ‘Marilyn Monroe’ of British daytime soaps is found dead under suspicious circumstances. Once the story’s main protagonist, private investigator Melanie Sparks, makes her entrance I was initially hit with a Bogart-esque vibe. It was really only in the plain-faced way she initially interacted with her bumbling assistant. However, her personality is quickly bedazzled by Matchett once he settles the reader into the story. Sparks shows off her quirky side at just the right moments, making you forget the serious business of murder. If you know who Jessica Fletcher is, she’s sort of like that, except, well, Melanie Sparks is definitely more hip. Also notable about the story is the pacing. Nothing seems rushed, while the characters involved all get the right amount of development. Quite the feat in 24 pages. Kell Smith was the right choice for the story. Her style mirrors the balance of serious and fun that the story gives off, and she aces a few transitions that do some fun things. First of those being a split full-page spread that breaks up the night of the murder with the morning she’s found. A brilliant way to move time fluidly in the story. My second favorite would have to be a four paneled page that implants each suspect in the act of strangling the victim, which does well to plant seeds in the mind of the reader. Overall, Sparks is a fun story that surprises in all the right ways. If you like mystery, crime and a strong female lead, this book won’t disappoint. Support indie and give Sparks a chance by following this link to buy a copy! Chip Reece (@ChipReece on Twitter) is the head editor and admin for StashMyComics.com, social worker and aspiring comic book writer. His graphic novel, Metaphase, starring a superhero with Down syndrome, is slated for release in Fall 2014 from Alterna Comics. It’s totally inspired by the coolest kid ever, his son Ollie! You can pre-order the book on Amazon.com.